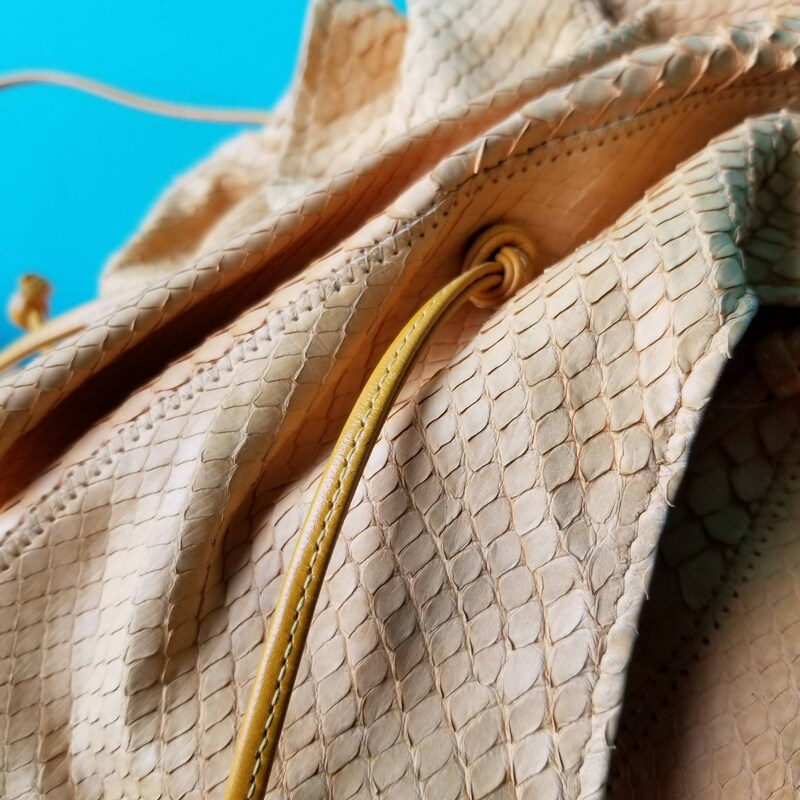 New York-based, Brazilian-born handbag and accessories designer Carlos Falchi is renowned for his luxurious patchwork designs in exotic skins including python, alligator and caiman. Unusual and unique, the patchwork collage handbags are sewn by hand in New York City, and have been sought after by fashionable patrons since Mr. Falchi began his business in the seventies. 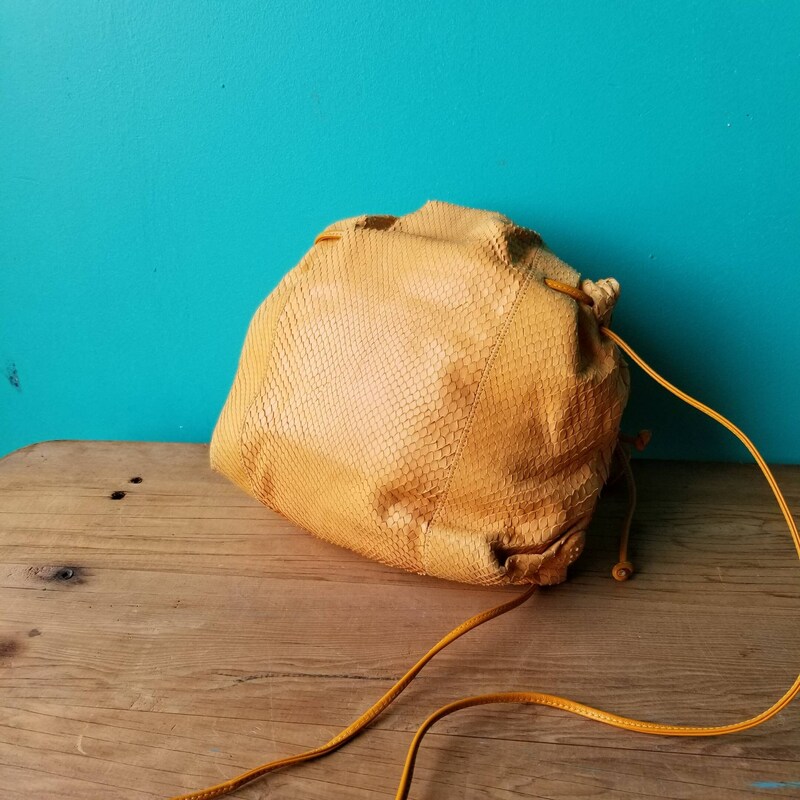 Sleek and minimal or soft and slouchy, from clutches to hobos, Mr. Falchi's handbags are highly collectable and never go out of style. Mr. Falchi's fashion roots began in making handstitched leather clothing for musicians like Patti Smith, Miles Davis, Tina Turner and Mick Jagger. Legendary retailer Geraldine Stutz at Henri Bendel encouraged the designer to focus on handbags. Now his bags are carried at Saks Fifth Avenue and Henri Bendel, among others. 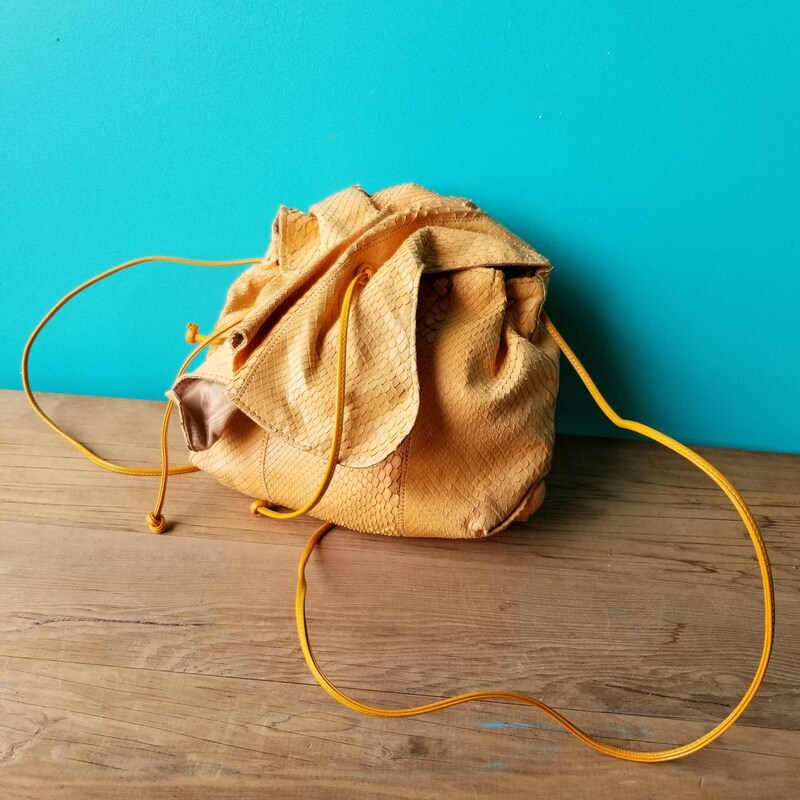 This is an original 1970's example of a Carlos Falchi bag with narrow strap and soft reptile leather dyed a sunny orange. 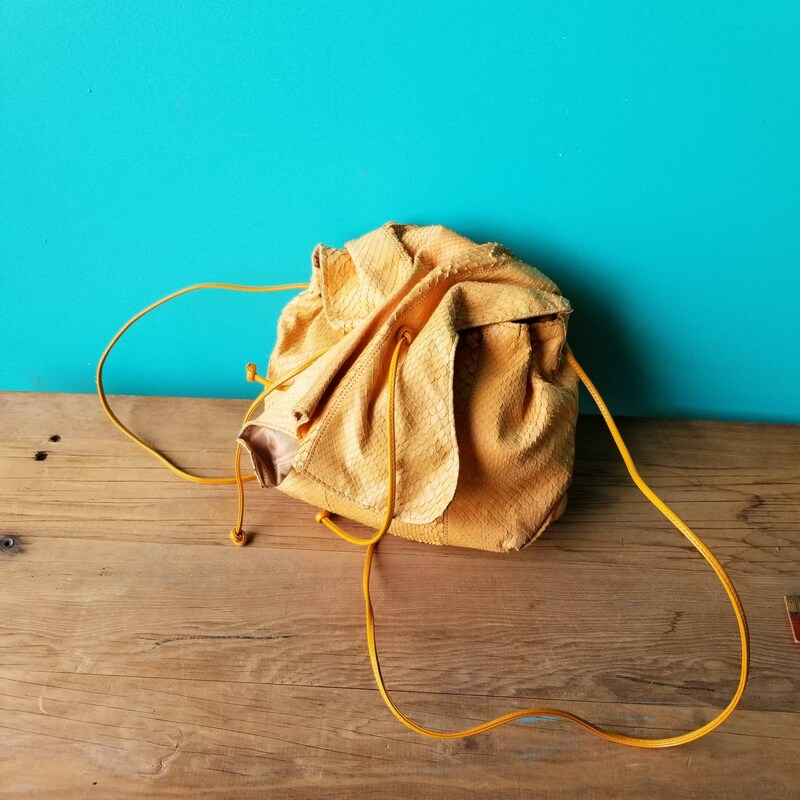 It's slouchy drawstring style and use of ethically sourced exotic leather make this bag a unique work of art, hand sewn in New York at the height of the seventies fashion scene. 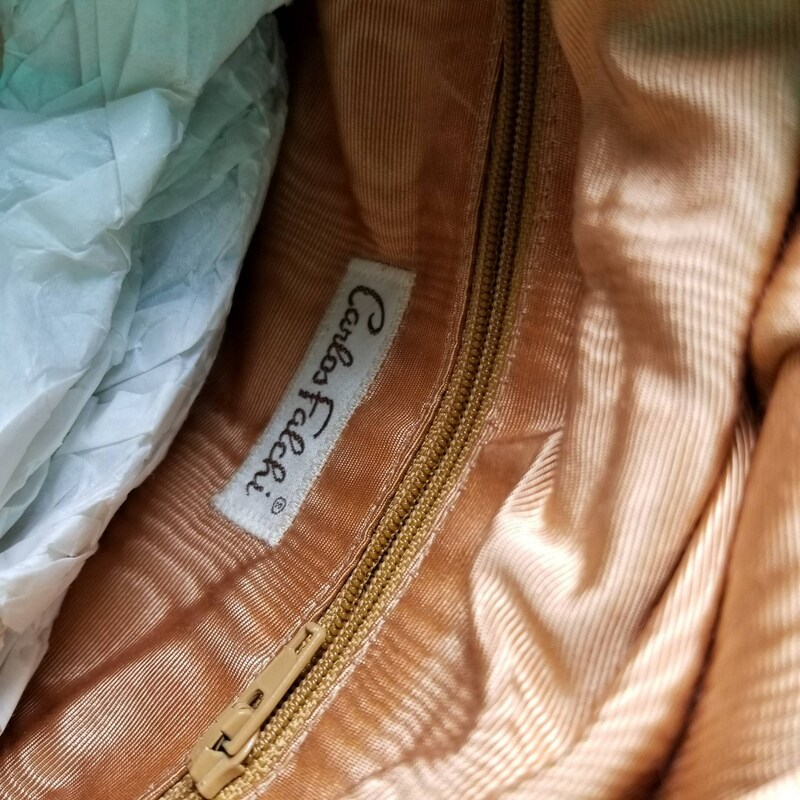 In excellent condition with soft leather, no rips, tears or stains, and only a slightly faded and interior lining.